Lush Fab Glam Inspired Lifestyle For The Modern Woman: Pack, Relax And Stay Organized This Camping Season. Pack, Relax And Stay Organized This Camping Season. Children will soon be counting down the days until they're dropped off at camp! Help the summer campers in your life stay organized this camp season with Mabel's Labels. The Limited Edition Camp Combo Packs are UV resistant, waterproof labels and tags designed especially for everything that goes to summer camp. 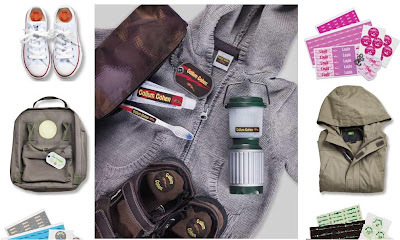 Identify clothes, footwear, toiletries, swim gear, backpacks and more with this seasonal essential. 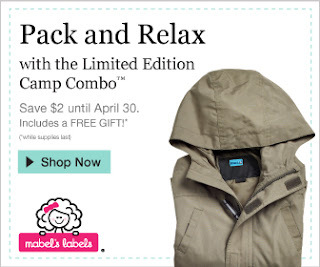 And best of all, save $2 and receive a FREE GIFT (while supplies last) when you purchase your camp combo before April 30th. Happy Camping! This post brought to you by Mabel's Labels. Leave a comment below.